Though the image of Sheikh Mujibur Rahman still stands tall, as his public persona is still something to be vied with, the facts behind the making of the leader has been made turbid by subsequent military juntas who rode power in independent Bangladesh. Attempts were made to put a veil on the history of independence and its leader. 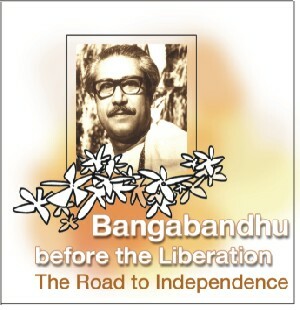 After he was brutally murdered on August 15, 1975 by a section of highly ambitious and conspiratorial faction of the army, his legacy was deliberately distorted along with history of this nation. Even after democracy was restored in the 90s, the facts were never allowed to surface. SWM strives to piece together the shattered saga of an extraordinary man who still remains the most revered leader of this nation.